Mihaela Craciunoiu is native of Romania who currently resides in Canada. She has degrees in International Business and Law, over 10 years of experience as an International Counselor and In-House Lawyer, and has worked in multinational companies in Canada as well as abroad. She has also been involved in several Committees and Board of Directors for immigration matters, governance and the interpretation of various legal aspects and regulations. 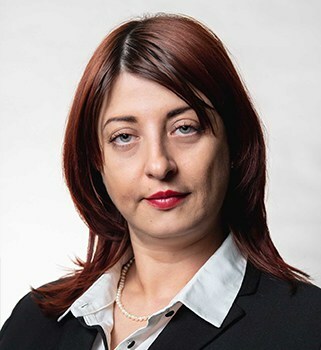 Additionally, Mihaela has experience in the application of different principles and rules that apply to the duties of the Immigration Specialist by providing consultancy, assistance and guidance to clients requiring legal and immigration assistance. Our at firm, she presently consults on Canadian Immigration matters.